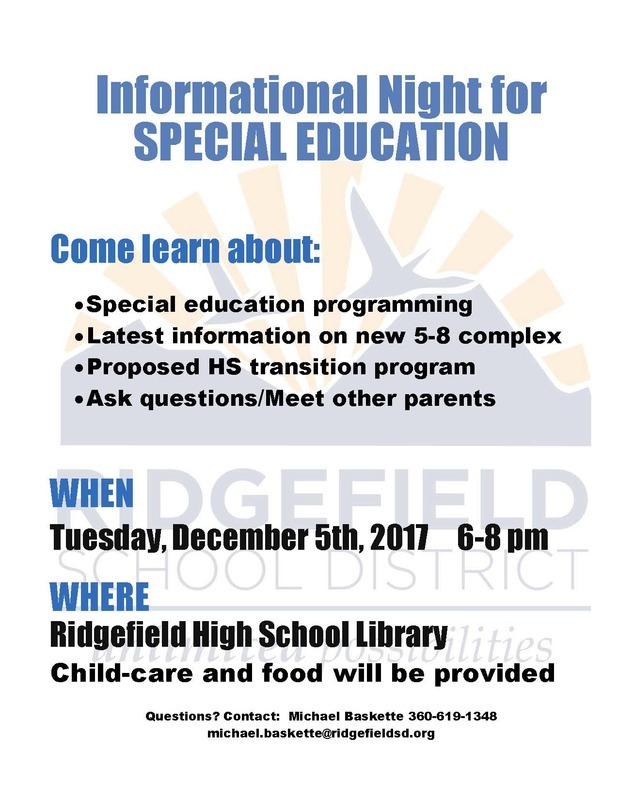 Ridgefield School District has scheduled a Special Education informational night on Tuesday, December 5, 6:00 pm – 8:00 pm at the Ridgefield High School Library. Come and learn about Special Education programming, the proposed HS transition program, and the latest information about the new Grades 5-8 schools complex now under construction. It’s a great opportunity to ask questions and meet other parents as well. Child care and food will be provided. For more information, contact Michael Baskette at 360-619-1348 or via email at Michael.baskette@ridgefieldsd.org.